Skill and compassion go hand in hand when providing exceptional patient care. As a dental professional, I stay up to date on the latest advancements in dentistry in order to provide the most current treatment options for my patients. For instance, we offer Same Day Crowns with an advanced E4D Cad Cam design center. I also place PerioSeal implants here in this office. Both allow me to have more control over offering what I feel to be the best options for you. As a doctor, I recognize that my patients are unique individuals who have placed a great deal of trust in me and my team. That is just one reason why I value each and every patient relationship. I appreciate the time you’ve taken to visit this site to find out more about this dental practice, my team, and the many services we can provide to help you achieve optimum oral health. After finishing dental school in 1991, Dr. Hays joined his father; Dr. George Hays, in his Benton practice. 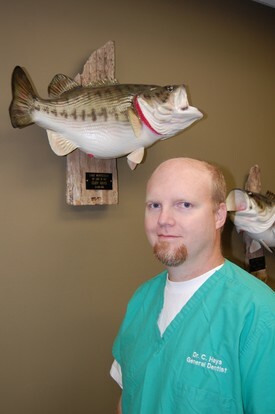 He quickly established himself as one of the most respected dentist in Central Arkansas. He also has patients who come from around the U.S. because of his reputation of being sincerely concerned about their teeth and well being. Dr. Hays is a member of the ADA, ASDA, ICOI (International Congress of Oral Implantology) and the AGD (Academy ofGeneral Dentistry). Dr. Hays has been voted Best Dentist in Saline County 5 times. He is very proud to have such recognition in his office and feels it is a compliment to his practice. Dr. Simmons is also from Benton has been in practice since 1991 after graduating from University of Tennessee as Valedictorian of her class. 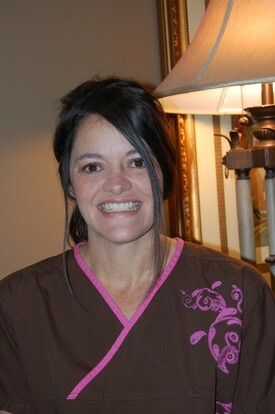 She joined Dr. Hays practice in 1999. Dr. Simmons has also been voted Best Dentist in Saline County.